The maps provided in this page are valid for today and in the next 1000 years! The Milky Way is a very faint target. It is so faint that it could easily get lost in the sky glow caused by city lights or even overpowered by the seemingly faint moonlight . To capture a target as faint as the Milky Way, photos must be shot from a place that is really dark. A trip to a nearby province may be enough to offer the conditions suitable for this purpose. Milky Way enthusiasts usually travel to dark-sky sites to avoid city’s light pollution and schedule imaging sessions when the moon is not visible. To the naked eye, the Milky Way looks like a very faint band of light, resembling a ‘milky path’ or ‘way’ in the sky. Binoculars would easily reveal that this band consists of very faint stars that can no longer be discerned as individual stars by the unaided eyes. It is most prominent in the sky during months of March to May each year, rising in the southeastern horizon at around 2-3 am. The starmaps (maps of the sky) below show how the Philippine sky (my locality) would look like during various times of the year. You may also generate similar maps for your location using a freeware called Stellarium. It will help you navigate the night sky and locate Milky Way with ease. To see the Milky Way, eyes must first be allowed to adjust to darkness, which takes usually around 20-30 minutes. Once your eyes become fully dark-adapted, Milky Way’s bright core will become noticeable and the “milky” band visible. To protect eyes from losing dark adaptation, use a dim light source, preferably, red light. It can be achieved by simply covering a flashlight’s bulb with layers of red paper or any suitable material. Note that a brief exposure to bright light (like a flash from a camera or a flashlight pointed directly to your eyes) will cause eyes to lose dark adaptation and it will take another 30 minutes to adapt to darkness. Locate the Milky Way first before attempting to photograph it, so that you would know where to point the camera. If you are having difficulty locating it, feel free to leave a comment below and I will try to address it the soonest possible time (kindly state your location). Any entry level DSLR camera with kit lens may be used to photograph the Milky Way. The use of a tripod is optional. I have outlined below some key steps to walk you through the process of capturing a photo. 1. Set the lens’ focal length to wide-field (e.g., 18 mm). 2. Set the camera’s exposure time to 30 seconds. 3. Set the lens’ f-ratio (or f-stop/f-value) to its lowest value (set to widest opening of the iris to accommodate more light, e.g., f/1.8 is more preferred than f/10). 4. Set the camera’s ISO value to moderate. I usually shoot at ISO 1600. 5. Check that the camera’s flash remains off. 6. Attach your camera to a tripod and make sure that it is sturdy and does not shake easily. 7. Since the camera’s auto-focus function will not work in this case, you need to set the camera’s focus to manual mode. You can do this by toggling a switch on the side of the camera’s lens (consult the camera’s manual). 8. Set the lens’ focus to infinity. Since the Milky Way is too faint, set the focus using a brighter target (e.g., any bright star). Turn the focus ring clockwise or counterclockwise (consult the camera’s manual) to bring any bright star into focus. You may need to look through the view finder first to roughly focus onto a star and then use the camera’s electronic display (e.g., LiveVeiw) to achieve a more precise focus. 9. Point the camera to the general direction of the Milky Way (use star maps). 10. Turn on the camera’s time-delay feature to avoid shaking (10-second delay will do). 11. When ready, press the shutter to take your shot. In this case, the camera will expose for 30 seconds. During exposure, you must not allow any stray light to reach the camera’s sensor, and certainly not allow the camera to move or shake. You may need to shoot several times for proper framing. Image taken at around 4 am on March 8, 2014, from Coron, Palawan, using a Canon 600D and an 18-55 mm kit lens, set at 18 mm, f/3.5, ISO 1600, 30 seconds exposure. The camera was mounted on a tripod and was pointed approximately 45 degrees above the southern horizon. If you wish to experiment taking exposures longer than 30 seconds, you must set the camera to bulb mode (consult the camera’s manual on how to do this). Under this setting, the camera’s shutter can be manually controlled through a device called a cable release (some may also refer to this as remote shutter). Keep in mind, however, that as you increase the exposure time, star trails become more evident. I recommend exposing only up to 60 seconds. You may also opt to increase the camera’s ISO value (or the ISO speed). This would result to brighter photos captured in shorter exposure times, but would also mean capturing more grainy images. I recommend experimenting with settings up to ISO 3200 and see which one’s work for you. The image below illustrates the effect of different ISO values on images (image taken with a non-DSLR camera). Higher ISO values yield brighter photos but result to more grainy images. Using lenses with varying focal lengths will allow for closeup (example, 50 mm) and panoramic shots (18 mm). Some may choose wider-field lenses (lower than 18 mm) to capture both the Milky Way and some nice foreground. I’d be happy to hear from you! A photo of our own galaxy is something you can be proud of, and of course, a nice addition to your growing portfolio. If you have captured the Milky Way and wish to have it featured on this page, kindly send a copy of your photo to eteny@nightskyinfocus.com. Thanks! For an archive of my Milky Way shots, click here. Clear skies and happy shooting! To view my images of planets, galaxies, and nebula, click here. Yes, the aperture at f/8 is lower (smaller) than at f/2.7, which is why such a setting is not preferred for Milky Way photography. We want to gather as much light as possible, so what we need is a setting that will give us the largest aperture possible, and is achieved by selecting the lowest f-number. Smaller f-number means larger openings or larger aperture, and in astronomy, the larger the aperture of an optical instrument is, the better. :) Hope this helps! Hi, is it possible to take a star trail here in the Philippines? Who are the star trail photographers? Thank you for your kind words :) Feel free to check the web site for updates every once in a while. I intend to put more articles on how to photograph other celestial targets like planets and galaxies. What kind of mount do you suggest for beginners? Just Equatorial or Alt-Az mount? Im guessing Alt-Az would be better but is the equatorial mount good enough for 60-90 secs exposure for milky way shots (wide angled)? The cheaper the better, tha’s why I’m wondering if the equatorial is decent enough. There was no mention of the kind used in the photos which would have been helpful. I did not specify the type of mount because virtually any kind of mounting mechanism will do the job (you can even use a desk lamp as a mounting mechanism or the side mirror of a vehicle if you would prefer a low cost option). For as long as it holds the camera steady, it will work. Note also that an equatorial mount is just a variation, or a special type of alt-azimuth mount (what I specified instead in the article is whether the mount has tracking capabilities or not). Both types of mount (i.e. equatorial or alt-azimuth ) can be used for longer exposures as long as they have tracking capabilities (note that if you are using a tracking alt-az mount, a corrector mechanism is needed since image/field tends to rotate as it tracks the sky, unlike in equatorial mounts, but these tracking mechanisms are intended for advanced users). Now for beginners, as I have mentioned in the article, any sturdy mount will do the job: a sturdy low cost camera tripod, a sturdy non-tracking or tracking altitude-azimuth mount, a sturdy non-tracking or tracking equatorial mount. Sir can I view the Milky Way from Sampaloc LAke, San Pablo City, Laguna? Yes, simply follow the instructions in the article. Good luck! APS-C-sized sensor would certainly help in capturing high-resolution images, but large sensor size is not really a requirement in capturing the Milky Way. In fact, even a web camera (modified ones like Philips ToUCams) can also be used. To capture a target as faint as the Milky Way, what is needed is a camera that can capture about 15 seconds or so worth of exposure time, be it a DSLR, or just a modified web camera or an off-the-shelf unmodified digital camera (however, unlike DSLR with “bulb” setting, most non-SLR cameras are limited only to up to 15 seconds exposure time, might not be enough but is still workable). It would also be an advantage if the camera has a large lens diameter (more light, brighter image), provision for high ISO (higher sensitivity detects fainter targets), and provision for wide-angle shots (lower f/ratio, the better). It is also interesting to note that some digital cameras can be hacked to give you full access to “locked” controls normally reserved for DSLRs (for example in my S3IS, bypassing the 15-second exposure limit, allowing exposures up to 10,000 seconds), like in the case of CHDK used to unlock features in a number of Canon PowerShot cameras. CHDK stands for Canon Hack Development Kit. Hi. Thanks for your quick and nice response. If I buy the philips toucam for example how may i tweak it please? I have tried long exposures in the past with a friend compact but get star trails. are there any cheap tracking mounts around? There are lots of references on the Internet re: webcam modification. You might want to look for keywords “SC1 modification”. SC stands for Steve Chambers, to whom we owe the idea of bypassing the cameras circuitry allowing it to capture long-exposure images. Last time I checked, SC5 was the most recent webcam modification setup. Regarding the tracking mount, you might want to experiment first with barn-door trackers. There are also lots of do-it-yourself tracker projects you might want to try out first. To track objects with a barn door tracker, you may need to manually turn a knob or perhaps use a motor instead. It is worth a try and you are more likely to get good results since it is not really that hard to build one :) Most commercially-available mounts are still rather costly.. I am a kid and I visit you’re website thrice a week to learn many things it is very cool and interesting. I want to be a scientist I really want to hold a telescope ever since i am a kid. I really love this because i can learn how to see the milky way. I want to ask you something about milky way i thought we are the one living in milky way and sun, the moons of the planets and the planets and many stars are at milky way so why can we see milky way because i thought milky way is our galaxy and earth is our planet so how can we see milky way? i can’t see milky way and according to you it is available only on less light places and high places and it is seen at southeast right??? thank you for the very informative sight and learnings that I have learned hope you’ll answer my questions the way i like you to answer it…..
We are at the edge of the Milky Way so as viewed from Earth, it appears as a band of light stretching across the sky. If you could tell me which country you are from, I could give you specific instructions on how you could locate the Milky Way. Yes, any place away from city lights will do. I am always looking on the stars and many undefined things on the space and I really want to do this when I am old enough because Ia m too young for this complicated things I really can’t understand yet….. Thanks for your ideas on how to see the milky way I always wanted to do what you are doing I want to have pictures and most of all to see the space…. Hello, I love your site! My son and I are always looking up at the stars trying to find the Milky Way. Are there certain times of the month and year that we can look up and see the Milky Way? Thanks for your help! P.S. We live in Atlanta Georgia. From Atlanta, Georgia (about 30 degrees north latitude), the Milky Way should still be visible. You will just have to wait for the time of the year when the it will be most prominent in the sky. March to May would be the best times to observe it. You may still use the information provided in the article on finding the Milky Way, just make sure that you choose a night during those months when the moon is not visible. Moonlight tends to outshine the very faint light coming from the Milky Way, best if you observe during a “new moon” (a calendar with moon phases would be helpful). The lowest f stop number in my dslr is 5, Can I photograph Milky way ? Really great article you have here.. Learned a lot! Thank you. I wonder if you can help me. I’m having trouble locating the Milky Way. I live in Norway. In the northernmost village of Europe – Skarsvåg (by the Northcape). Where/how can I found out when and where the Milky Way is visible from here? Thank you. One more thing.. You write about taking singel pictures of the Milky way. I want to take multiple pictures and make them into a panorama with Photoshop. How would that work? Is it possible without a tracking mount? It should be visible from November to February, when the Sun is below the horizon. While its center (the brightest part) is not visible from your area, the remaining parts should still be, and should register on your camera even without tracking mounts. I will post asap some star charts that may be helpful to you. A panoramic shot of the Milky Way is possible, you just need to take several photos that will cover the whole stretch. 22th feb. is a new moon and I’ll try to take som pictures. P.S. : I downloaded an app on my phone called “Star Chart”. Great app for those who have problems locating the Milky Way. You can use it to point your phone at the sky and the Star Chart will show you exactly what you are looking at (for example the Milky Way). Hi Alina, how did it turn out? Did you get to see the milky way? I’m also from Norway and would very much like to see if you managed to get some shots of it, or if you saw it at all? Eteny, thanks for the article, and for the comment that we can actually see the milky way from Norway. Are you sure I who live in Fredrikstad can see it too? Would really appreciate some links or maps so I could see the location of it and presumably when. I work as a landscape photographer so I’ve been wanting to catch the milky way for quite some time, but have always been told that it’s not possible to see from Norway. Using a freeware called Stellarium (see download link above), you can actually simulate how the Milky Way would look like from any location on Earth at any particular time. From Oslo, Norway, it is not possible to see the center (the brightest portion) of the Milky Way since at higher latitudes, it is always below the horizon. However, it is still possible to see parts of it, as shown in this map for September-October, at 10 pm (Oslo, Norway) This .gif shows how much of the Milky Way is not visible from your location. To maximize your chances of seeing it, travel to the southernmost part of Norway and shoot from a place with a clear view of the southwestern horizon (preferably facing the open sea to ultimately minimize sky glow). Hope this helps! Really nice article, I am from India , Pune(18° 31′ N 73° 55′ E) , can u please let me know, where to look in the sky to capture Milkyway. And any specifc manner by which u evaluate this as for complete darkness we normally move 100km anywhere. I have a tripod for steady shot, still am not sure how is it going to help me capture the MW. As what i believe is if I focus at the same point I might get a startrail. Please correct me for any wrong interpretation. Hi, I want to take landscape shots of the milky way because it’s really one of those rare things that aspire me, the stars at night, of course. I’m just a high school student living near the most light polluted area in the Philippines, according to the Bortle Dark-Sky Scale. I’ve learned a lot about stargazing such as moon phases, light pollution and weather, but I have several questions about this topic, and I’m asking you this because you’re probably familiar with all the questions I have to ask. 2. Is there any hope to see the milky way in Ayala Alabang, how about if I know a place where it’s totally dark for half a kilometer? If not, where is the nearest place? You mentioned that it takes 30 minutes for our eyes to adapt to the dark sky. That’s a new lesson for me, thanks. Most enthusiasts do travel to dark-sky sites just to see the Milky Way. The nearest site I could recommend is Antipolo. Light pollution is actually a localized phenomenon, thus, if you travel far enough from city lights, you should be able to see improvement. The horizon usually suffers most, except if you are facing an open sea. I am not familiar with the sky conditions in Alabang so, I could not really give you a definite answer. Regarding f/stops, the Milky Way should register brighter at f/1.8 than at f/2.8 (the difference may be very minimal, but theoretically, the wider the aperture, the more light is gathered). Perhaps you need to try it for several more attempts to be able to detect the difference. In astronomy, aperture rules (that is, the larger the diameter of the front lens, the better). Hi, I would also like to try and capture a photo of the milky way. From what I gathered, the MW is visible only on the southeast part of the sky and full dark night (new moon is preferable) I also saw that others are using tracking mounts, what does it track and how does it work? I’m familiar with camera settings and all, I don’t want to see any star trails and/or blurs so if i’m going to use bulb settings (30-60 seconds of shutter speed) I will have a bit of star trails. Are those tracking mounts able to help? If I don’t have a tracking mount, what would help? Thanks! Hi! Just like the Sun, objects in the sky are never stationary – all objects move to the west at a rate of 15 degrees per hour. If you just use an ordinary tripod and point your camera to a target, say a star, after a few minutes of exposure, the star would move and it would register in your camera not as a “point” but as a “trail.” Thus, to eliminate this trail, one must use a mechanism that would allow the camera to “follow” the movement of the sky. Such a motorized mechanism is called a “tracking mount”. You may build a do-it-yourself tracker if you wish, it’s not really difficult, just search “barn door tracker.” Also, use a cable release (or the timer function) along with the tracker as it would eliminate the vibrations caused by pressing the shutter. Thanks! I have a question, I have a Sony SLT-a55v DSLR camera with kit lens and 50 mm, f1.4 lens. Which lens should I use to capture the picture of the galaxies and the slowest shutter speed that I can use is 30 seconds, otherwise, I have to use BULB options. But, If I’m gonna use bulb, the camera will shake a bit. Thanks. Hi Azlan! 50 mm is good enough, but wider-field lenses are preferred. You may then follow the instructions above which apply to almost any camera :) Do not forget to use a cable release to minimize vibrations. hi sir Eteny. saw your shots from Pipho and i was inspired to take a shot of the Milky Way as well. Im from Cavite and im really having trouble locating the Milky. I already have a good dark place to set my camera but im really not sure where to point it and what time it will show up. Please provide me some tips on where to locate it and what is the best time to shoot it. Thanks! Hi romz! This article is intended for this time of the year (March, April, May), thus you may use the map provided as a guide. :) The key to seeing it is “dark-adaptation.” Note that while we may be looking at the right direction, it is impossible to see it if our eyes are not adapted to darkness. In any case, my advise would be: 1. At around 3 am this month, facing southeast, spend at least 30 minutes outside, in total darkness, to allow your eyes to fully dark-adapt 2. If you need to use light, use the dimmest flashlight the you have and cover it with red cellophane or red paper; you want to minimize light as much as possible (you may need to cover the LCD of your camera as well as such a bright display would hinder you from seeing the Milky Way). 3. Or at 3 am, you can just point the camera to the southeast, around 30 degrees above the horizon, and hope for the best :) Good luck and happy hunting! thank god i bumped this site..hehe u had really great stuff here and very helpful.. kudos po sir… btw, Im Alvin from QC but SG based and interested in astrophotography. eager to have my 1st take in MW also hehe… Im planning to go to Legazpi, Albay this coming April 15-17 this yr. (not familiar with the exact coord of the place and not sure also if those dates falls in moonless night..). Sir can assist me what will be the best time and which part of the sky is MW located in legazpi ..? and my other question is, Is MW visible in legazpi albay sky according to my plan dates? The moon will still be visible on the dates you have specified (it will rise early morning), and thus, may introduce some undesired light that ‘could’ render the Milky Way invisible. The good news however, is that the moon will be on its crescent phase, thus, it is still worth a try. On April 15-17, at 3-4 am, point your camera towards the south, tilted some 60 degrees above the southern horizon. That is where the center of the Milky Way lies. Just follow the settings described above and adjust framing if necessary. Best of luck sir! Thanks a lot sir Eteny for the pointers.. so mch appreciated..
again sir thanks so much for your help and hopefully we can meet someday..
thanks a lot.. last question. 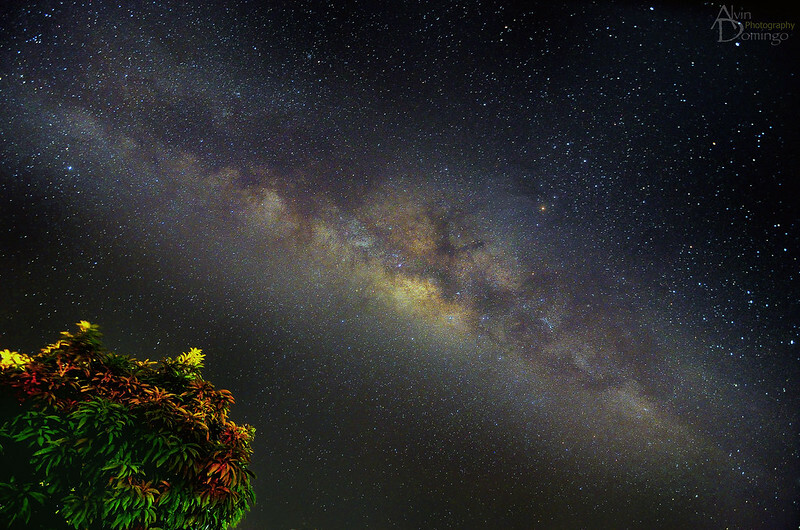 probably in what time is best to shoot Milky Way in bulacan? is it also the same Southern part of the sky? It is basically the same in all parts of our country (Philippines). The difference is so small, thus, negligible. :) Clear skies! Hi, what a great website, thanks so much for the tips! I’m heading to Colorado this summer and want to take Milkyway pictures like this. I have the settings down but I have a question. What filter should I use? UV, polorized? My recommendation is: not to use any filter at all. The Milky way is so faint that using a filter will only reduce the amount of light the camera receives. Good luck and happy hunting! That is quite alright! Another question. A friend of mine said something about the camera being IR or having the IR disabled. Not sure what that means. I’m shooting with Nikon D300s with a AF-s 17-55, 2.8 lens. Is there anything else I need to do to the camera? I think your friend is referring to the camera modification which involves physically removing the built-in filter that blocks IR. You may find more info on this matter in this camera I modified last year. Thanks so much, Eteny! I’m going to Colorado in late July(week of the new moon) and “IF” they come out good, will post them on FB! My FB is Tim’s Photo World. Cooney is my nick name. hi sir! great site here! im just starting in the learning process of shooting star trails and the milky way. i have already grasped the concept of capturing star trails. i have successfully done this literally a few hours ago hahaha :D i will be on a trip to iba,zambales this may4. now my question is, how do i find the milky way? based on what i have read on others sites,its near the north star. is this correct? i will be using s 5dmk2 with a couple of lenses. namely 17-40mm,50mm,and a helios 58mm f/2. which one do you think will yield a better result? thanks in advance! more power to you! Congratulations on your star trail photos! For the Milky Way, I would suggest you use the widest-angle lens (use 17 mm at widest aperture). :) Best if you could shoot when there is no moon to interfere with the faint light coming from the Milky Way. Just follow the instructions above as they were written specifically for this time of the year, and applicable to the Philippine setting. The Milky Way isn’t near the north star, I’m afraid :) The article describes how to find it. Clear skies! btw, here are my few shots last april.. 1, 2, 3. WOW! I am impressed!! Can I have these photos featured in this site? Also, I’d like to include these photos to the article above (will link back the photos to your site :)) Great capture, one of the best MW photos I have seen! A big YES sir.. feel-free to use my shots and of course its my honor and glad you like it too..
for other shots of MW, you can check on my link here. You can also check my cam setting i used each of the shots under [Action>View Exif Info] so that i can share it to the others. Again Sir thanks a lot…Hope we can meet someday and join some of your sessions. thank you for giving us the instruction for shooting the milky way but can you help me locate it here, I am presently in Basel,Switzerland the northern part of the swiss and summer is nearly coming here. From Basel,Switzerland (47°N, 7°E), the Milky Way could be seen stretching some 10 to 30 degrees from the southern horizon, at around 10 to 11 pm local time (for the month of July each year). Thanks and good luck! From Lousiville, USA, with coordinates roughly 38 N, 85 E, at this time of the year (October), the Milky Way could be seen at around 7 pm to 11 pm, approximately 15 to 20 degrees above the southwestern horizon. Clear skies! Hi, Eteny. My name is Gary and i am from the UK. im just starting to get into Astrophotography, and like most people that have came across this site i am looking to shoot the Milkyway. im planning a trip to a Dark sky site in Scotland which has been labeled as one of the best at a place called Galloway forest park. im planning to go some time in November ? is it possible to view the milky way at this time of year from this location and if it is, where should i be pointing my camera ? im currently using a Nikon d7000 with a sigma 10-20 3.5. im not a total novas when shooting the night sky and have shot a few star trails to date. but i REALLY want a shot of the Milky way. or is this going to be a case of wait until may ? any help you can give would be most gratefully excepted. thank you for your time. hi, its ok i have came across a free program called stelerium, its helped me sort things out. thanks all the same tho. 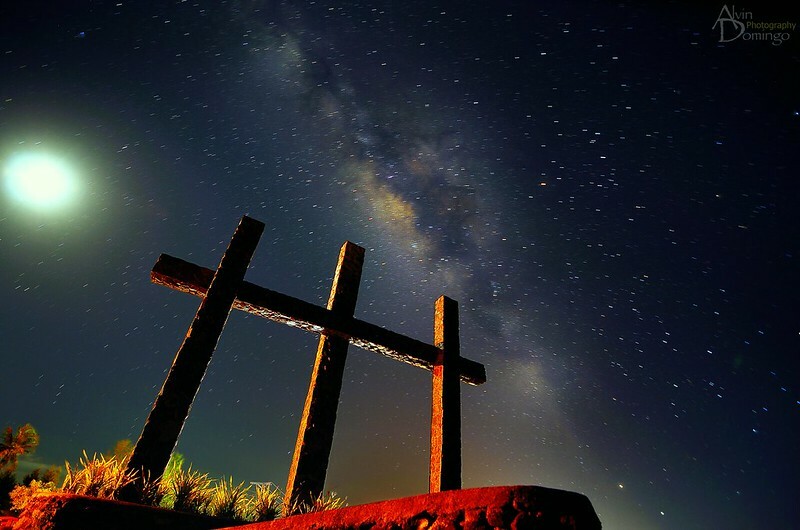 From 12 N, 77 E, at this time of the year (October), the Milky Way could be seen at around 7 pm to 12 midnight, approximately 20 to 30 degrees above the southwestern horizon. Focus your DSLR onto a bright star. Once focus is achieved, point it to the direction of the Milky Way, then shoot! Clear skies! i am Tista from Kolkata, India. i want to see milky way through naked eye. can i see it in this November? And I found your site thank you. keep up the good work and thank you for sharing your knowledge. Great article you have here. Very helpful and informative.. Sir, may i know where/what constellation milkyway can be found this month of nov? And what’s the best time to shoot this week? Thanks in advance. The brightest part of the Milky Way is found in the constellation Sagittarius. During November each year, it should be visible about an hour after sunset. Great article! Loved it! But, i got a problem and wonder if you could help me. I am a 14 year old kid and live in Norway, in Oslo. I wonder when could i spot our galaxy-core? I am very intrested in Astronomy and read alot about space. I looked on pictures at google and want to see it. My first target was the great Andromeda galaxy, and i wish that i could travel 3 billion years forward just to see the great Andromeda galaxy(M31) dominate the night sky. I got so many questions that some1 need to anser. I found your site today and it anserd many of my questions, but it didnt anser: Could i spot Milky way from Norway? And: When/what time of the year could i spot it. I also want to know how i could see Milky way. Space is so beautiful when you just open your eyes to see the truth :’)! -Thnxx! :) :) :) :) :) :) :) !! Just 1 more thing, how far away do i need to be to get a shot of Milky way core..? Beacuse i live in: Nesodden, Norway. Where i live, you can see Oslo at the night, and i need to know how far away i need to be. thanks for this wonderful guide! i have a little concern. is is possible to take photos of the milky way before the moon rises? since at this time, we have a full moon. thanks! Yes Macky, it is possible (i.e., before it rises or right after it sets) :) The week before or after the new moon usually permits a few hours of moonless nights. Good luck! I’m Bushan from Bengaluru, India. Could you please suggest ime is the best time and direction to watch milkyway in Bangalore/Bengaluru, India location? we are in +5:30 GMT time. Hi Bushan. Bengalûru is located 12 deg N, which is roughly the same latitude as the Philippines, thus, star maps and all information (Philippine-based) provided here may still be used for your location. You may also want to browse through the comments as I may have already provided more specific information and answers to queries of other observers from India. Good luck! I used what is called CHDK (Canon Hack Development Kit), a free software that can greatly enhance the capabilities of a number of Canon PowerShot cameras (including S3IS) by overriding its native firmware (software). Through CHDK, you can unleash the full potential of your camera and access features normally locked by the manufacturer. For instance, a typical camera would only allow a maximum of 15 seconds exposure (e.g., in S3IS), but with CHDK, it is possible to increase exposure time up to 10,000 seconds. All you need to do is to download the software and then paste it on the camera’s SD card. Here are some links to get you started: CHDK FAQ. I have a Sony Cybershot DSC H-55,it has manual settings and can set to 30 seconds exposure but I have a question.How can i set my point and shoot camera’s focus to infinity? If your camera supports manual shooting, then I think it is *possible* to manually adjust focus as well. My best advise is to consult the camera’s manual. I may not be much of help here since don’t have access to such a camera. Try pre-focusing on any bright object in the sky (moon, planets, etc.). Usually an indicator (displayed on the LCD) tells the user if the focus is already set to infinity. Good luck! Hello! I would like to ask if the milky way can be seen at caloocan city (pass sm fairview, near bulacan)? I am only a hs student so I can’t really travel alone just to take some pics. I kinda have a thing for the night sky and I was actually researching for pics of the milky ways here in the philippines. Oh and when’s the best day/s I could see the milky way this month? I cannot be certain but it may be possible from your location. Try searching for it when it is new moon (consult a calendar). March is a good time to view it. Please refer to the starmaps above. Thanks! is it possible to capture the milky way with just a digital camera (8mp)? For the Milky Way to register on the camera, it usually requires at the very least around 30 seconds exposure time (recommended exposure time is around 60 seconds). Most digital cameras can only be exposed up to 15 seconds, which is rather too short. Digital cameras are not really designed for this task, but if your camera has a provision for manual settings, then perhaps it is still worth a try. Hi, same reply here..the article explains everything you will need to know to capture the Milky Way from anywhere in the Philippines this summer (April-May). Thanks! hi. im planning a trip to pulau perhentian, malaysia somewhere within this month. im aware that you ask ppl to shoot for south east, even if im based in india. i just want to be sure where to point my camera at.. so pls clarify. tq. also, can you tell which date is the best for this purpose? another important question, what time the milky way will rise? and bcoz the earth rotates, does it mean the time is the same for this month and next month? to summarize my question, just give a specific date for this month/next month and the best time to shoot the milky way. oh, im planning to do timelapse. The article explains everything you will need to know to capture the Milky Way from anywhere in the Philippines this summer (April-May). Thanks! since im planning to do ‘moving timelapse’ using manual slider, i wanna ask whats an appropriate distance between each shots? let say im planning for 10 second timelapse of milky way. i ask you bcoz you seem like a ‘diy’ people. :). i know most people use motorized slider. 1 more silly question, if the milky way rises from south east, does it mean it will end at north west? What time and where will Milky Way be visible in April and may? I live in evansville indiana. Thanks. Hoping to get shot during new moon. Hi! The details provided in the article also apply to your location (Indiana). Good luck! Many thanks for this tip, I successfully shot the milky way galaxy in first attempt, hooray! already sent to your fb page (im). Location ko is Logan City, Queensland, Australia. Anong best time para ma capture ko ang Milky Way? Just bought my canon 60D a couple of months ago, I need all the tips that I can get. Thanks. I was really inspired by this site,so much so that i have decided to buy a camera.Being my first camera i decided to go for Canon Powershot A810. Will i be able to take pictures of milky way and other faint objects with this camera? THESE PICTURES ARE TRULY INSPIRING! Hi! Have you checked the CHDK web page? I believe your camera is supported :) To get started, click here. Hi! I’m from Romania, city: Valcea. Could you tell me the best time? I have a Canon 60D and a 15-85mm f/3.5-5.6 lens, I hope will do the job. I also have a prime 50mm with f/1.4 but I think it is too long. Hi! The Milky Way should also be visible in Romania in the months described above, but it would be very low in the southern horizon. The lens with the wider field of view (15 mm) usually produce better photos because it covers a wider portion of the sky. You may try finding the Milky Way around 12 midnight this month (July). I find your guide very valuable.. thumbs up for it.. can i share my shot here in your page? and btw, hope I can work with you..
this is fantastic article!!!! thanks a lot for this excellent information !!! I would like to locate the milky way from my house.. I am a resident of Mangalore City, Karnataka, India.. Pls suggest me how 2 locate the Milky way galaxy from my place so that I can start experimenting on it..
i don’t know whats happened to Eteny…its been a couple of months since he replied. i thought maybe i could help.there is a freeware called stellerium which is absolutely free. its given in this page.use it and turn off ”atmosphere” to see faint objects better,then fast forward and you will be able to see the milky way appearing as earth rotates.i dont think it is visible to naked eye.you just use the program to know the exact time when the milkyway is best visible and then take the shot with the recommended settings. clear skies! Thanks for the help Josh, really appreciate it. Been really busy lately, and up to now. I had to attend to some work-related matters. Apologies to all :) Will attend to queries the soonest possible time, perhaps next week. Clear skies to all! Hello Eteny, I currently live in Washington state, USA and I am looking to take a special friend on our first getaway trip this July 3-7 and wanted to find the best place in the World or in the USA to take the best Milky Way picture as well as to have a memorable trip as i plan to propose to her under the stars. Any suggestions? I have a Canon 7D and will be taking pictures as part of a series of life journey photos together and will be looking for other memorable places to travel and take pictures of the Milky Way at every place we go. Would love a list of the most best places to go in the USA and in the World and the times in the year to go. I would be incredibly grateful for this information. Thank you in advance. Yes. Point your camera southward, then follow the instructions described in the article. Best time to observe for August would be at 9 pm local time (8 pm for September). Good luck! Ah yes, I have featured your photo here. Congrats with your capture! Hy, finally, I did it :) and I’m extremely amazed. Here is the picture. That is a really great photo for a first attempt! Would you like to have your photo included in this article? I am creating page which will feature Milky Way photos taken by fellow enthusiasts :) Congratulations! Sharing actual first-attempt photos will encourage other enthusiasts to try :) Thanks! The guide above is also applicable in Cebu :) As of the current month (September), the Milky way should be visible at around 8 pm, in the southern horizon. Good luck! Thanks! Is it okay if I use 18-55mm for timelapse? Captured at Digos, Davao del sur. Hi Karl, great capture! Would you like to have you photo featured in this page? Just let me know the settings you used for this image :) Thanks! Since I was a kid I’ve been interested in the night sky – I’ve always wanted to capture pictures of the stars, the moon, and the milky way. Today I am 21 years old and I finally feel like I have the money and the time to begin the project. The thing is, I’m a complete amateur and I have yet to buy a decent camera – it’s here where I hope you could help me out. I hope to find a used camera, but still decent enough to capture pictures as beautiful as those I’ve seen above. I’ve tried to read some articles on the internet but people have a hard time agreeing on what cameras would be good as starters and what lenses should be used. I’ve been told though, that the Canon D1000 Rebel XS (American Version) should be very good for the job, as its focus is magnificent. I’ve found a few on eBay for around 200-300 dollars, but I guess I would still need a decent lens? I’m obviously a total amateur in the art, as you can see – I just hope I could find someone that knew enough about it to recommend a few cameras to me, together with some options for lenses if I want to catch pictures of not only the milky way but also the moon or the stars in general. I really hope you can help me out here so I can get started soon! On beforehand, thank you very much for your time – and thank you for providing all this information! – You can always catch me on my email if you need to provide some links as well. Thanks again! I do look forward to readers’ replies, thus, whenever I have time, I usually check for comments and try to answer questions the soonest possible time. Regarding your query, definitely any Canon DSLR should perform well both for astrophotography and for normal day-to-day use (non-astro purposes). It should come with what is called a ‘kit lens’, the lens supplied upon purchase, usually an ’18-55 mm lens’, but it may vary depending on the model. For taking shots of Milky Way, there is no need for you to buy another lens, the kit lens should be more than adequate. In any case, should you wish to consider buying another lens for this purpose (taking images of all sorts astronomical within reach of a DSLR), I recommend a ‘Canon 50 mm f/1.8 prime lens’. When I started with astrophotography (and until now), I only have one camera with a kit lens (Canon 450D body with 18-55 mm kit lens) and another 50 mm f/1.8 prime lens. Sample astrophotos taken using the setup described are found here. I am pretty sure a Canon 1100D with its kit lens can also achieve the same (or perhaps better) results. More info about astrophotography using DSLR may be found here. Clear skies! I’ve done a bit of research lately, and I am quite confident that I am going to buy the Canon EOS 1100D DSLR, it comes with the kit lens you mentioned, and I’m quite sure that the stabilizer is build into the lens already, so when I get my hands on that I am more or less set. Do you think this would be a good start-camera for me? I was going to ask you… if I ever wanted to take full-body pictures of the moon with a lot of details on it, what kind of cheap lens would you prefer? Can you even get zoom lenses cheap for a 1100D or do I need to save some money for that purpose? Also, can I get better results of milky way pictures with a photo-editing program and do you have some sort of guide for that? Thank you for this page! Finally, a map for the Philippines to look for the Milky Way. Been wanting to photograph it but the problem is where to look for the milky way. Is there a chance it could be captured during the ” ber ” months? Thank you! Remember that the Earth belongs to the Milky Way galaxy, thus, technically, we see the Milky Way the whole year round :) However, the densest and the brightest part of it (which is its center, the part that shows up nicely in photos) is located in the direction of the constellation Sagittarius, which is best viewed during the months described above :) Clear skies! hi,im new to night sky photography. and i’m learning a lot. more power! could you shoot milky way during december? Eteny, Im glad to find this thread as I was aiming to achive milky way shots and startrails years ago. As i checked star tracks, it is indeed unfavorable to shoot the milkyway this December. We sure dont want to miss that brightest part of it. Could you please advice which are the best months to have a good shot of the milky way? Since December is not so good for this, I am planning to do startrails instead. My plan is to shoot startrails somewhere in Nasugbu Batangas facing the South china sea this early january 2014. And since this will be my first time, i would be happy to hear any reccomendations from you..
Hi Bryant, were you able to capture the Milky Way as planned? Keep me posted! Hi Eteny. I’ll be on my hometown in Natividad, Pangasinan this Holy week April 17-21,2014. (16°03′21.9″N 120°49′43.8″E) and i’m planning to capture milky way as i was inspired by your blog. I’ll be using my Nikon d 5100 with a tripod.New moon starts on April 10,2014, and as you advised above it should be done before new moon starts. Any recommendations or .tips? Do i have chances of capturing 6 days after New Moon? Thank you. You may simply follow the recommendations in the article. It generally applies to all places in the Philippines. It is ideal to image the Milky Way when the moon is still below the horizon, which happens in the days near or during new moon. Good luck! I was leave in Malaysia and the city call Kota Kinabalu. I like to try to photograph the milkyway. I need your advise. What is the best time to take milkyway in my place now? Im using Nikon D300s with sigma 10-20mm 3-4.6f wide angle lens. What is the best setting should I do? Thank you. Hi Melvin, the info presented above is also applicable to Malaysia. Clear skies! Thank you for the wonderful information, please can you suggest how to locate it precisely. I’m from India and have been fascinated with milky way and always wanted to photograph it. I use a Canon 600d and have the 18-55 f3.5 lens at the moment. 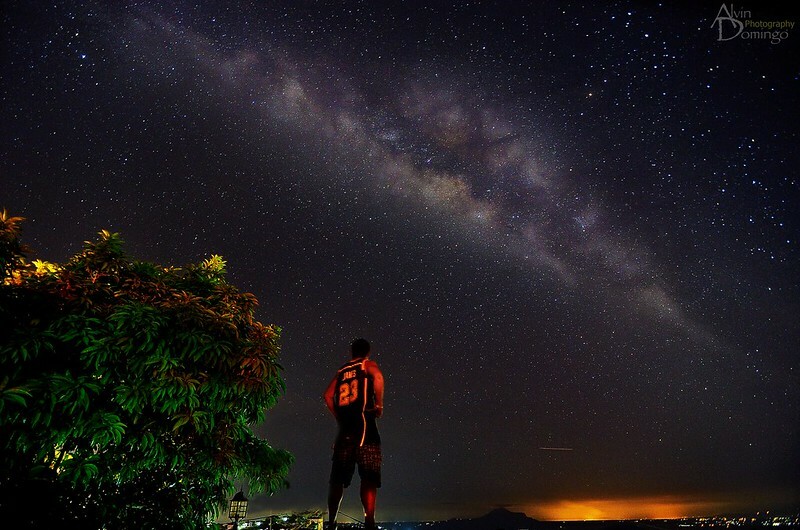 An Android app will help you find the Milky Way. Try to locate the constellation Sagittarius. Its brightest part is in that region. I like your site. I am planning soon to take some photos of the “Milky Way” and hopeful some Galaxies such as Andromedia. I think I will have some problems with city light pollution where I live. MY location is Concepcion, Chile. My equipment is a Konica Minolta 5D Digital camera ( 6.1 MP). I would be mostly be using my 55mm f1.8 SMC Aashi Pentax Takumar lens ( with M42 adapter to the Minolta body). I also have a Sigma 18mmf3.5 to 55mm Zoom W.A., a 28mm f2.5 Vivitar, all fits the Milta via M42 adapters. I have also a 300mm f4 Super Takumar and also the 200mm f4 SMC Takumar but these are f4. I am adapting a 178mm f2.5 Aero Ektar lens to focus to infinite on my camera via a M42 adapter, how would this do for Galaxies, etc.? This lens is very, very sharp, a recon lens form the Military. Any re-marks will be most helpful. (p.s. I am a US Navy retired Photographer now living in Chile). hello sir eteny, im planning to assemble my own 6″ reflector telescope, i already done researching for the best optical precision concave mirror to be use, my question is, is it available in the Philippines? I would like to give a big thanks to you! because of your guide, I was able to take a photo of the milkyway galaxy. The picture was sent thru your FB. ( I scrolled the forum and someone send it to your FB, apologies for intrusion of privacy :s ). Yours is the best guide on how to capture it. A very big thanks! Thank you Rga, would you care to send it as well to my email anthony_urbano[at]yahoo[dot]com (I’m afraid the photo was not able to reach me :( ) I’d be happy to have it featured here. Please include all pertinent details and settings :) Thanks! I live in Northwestern Ontario , Canada. Feel free to use the maps above. From your location (Ontario, Canada), it will be in the same direction, but because you live at a higher latitude (farther North from the equator), the Milky Way will be a bit lower as viewed from your southern horizon. Good luck! good day sir eteny. does the moonlight affect the visibility of the milky way? been trying for the past 3 days using canon eos 1dx, 16-35mm f2.8 II, mounted, 30 secs @ ISO 1600 and 3200, and the sky is so bright after the shot. or should i play my ISO and time settings? thanks for this wonderful guide….veru informative indeed. I’d be happy to see your images soon :) By the way, are you taking images form a dark sky site? Good luck! not so dark sky sir coz of the moon. always aiming at south-east part coz thats where saguittarius and scorpius are according to google sky map. will take photos of the moon na lang po muna. I mean, are you taking your images from a place with low or no light pollution, like in the province? If yes, then you have better chances of capturing it :) Clear skies! ill try boso-boso antipolo next time sir, last night the moon was near the sagittarius and scorpius constillations. im from antipolo proper. thanks again sir. clear skies last night and well lit. I’ll be at Mt. Ugo (Benguet) this weekend (April 26-27). I hope the Milky Way is visible around that date… should it be around 3-4am? :) Thank you! I’m so excited to see one. Yes, Patty. The Milky Way should be visible from midnight to sunrise :) Kindly refer to the maps provided. Keep me posted! Hi, I’m new to this all and I’m trying to work out if viewed from Perth, Western Australia when is the milky way at it’s most horizontal? When does it most look like a rainbow. From Perth, the Milky Way will look most horizontal (extending from south to north) during months of April, May, and June at around midnight (local time). It will look like a rainbow a few months before it becomes mostly horizontal, which is during February and March (facing east) and July and August (facing west), also at midnight. For detailed maps, you may want to download the program Stellarium. Good luck! I have Nikon D300s and D600 (full frame) I have f/2.8 17 to 55mm lens and 100 macro. I live in upstate SC close to NC. I realize I’m slightly out of the best window to capture the milky way being June2nd. I’m going to see what I can find. So do I look South? I don’t have any other gear to help me locate the correct position to direct the shot. At around 10 pm to 2 am (your local time), point your camera due south. Try shooting with 17 mm at f/2.8 and expose for 30 seconds. Feel free to follow the detailed instructions above. You may also need a tripod (optional but recommended) to hold the camera steady and a compass (optional) so you could easily determine where south is. For the month of June, July, August, and September, your view of the Milky Way will be very similar to this map. Good luck! Oh my gosh, thank you so very much! Wasn’t even sure I would get a reply. I will try this this weekend and post a pic for feedback. Again, thank you kindly! Let us know if you were able to take photos. Good luck! Hi. First off, very nice site! Found it because I wanted to know more on photographing the Milky Way. Great time lapse! I am sure this will inspire more enthusiasts to image the Milky Way, especially that this was your first attempt to capture it. Keep it up! Hi Eteny, Need a bit of help in finding the Milky way, I am from the UK and have found a place that I would like to try and photograph the Milky way. The place is called Broadway Tower which is in the UK (52.024191,-1.835745 on Google Maps), but I am not certain of which direction the Milky way is I have a compass on my phone so could I use this to find the direction and if so which way would I need to look, any help would be appreciated. I will be using a Canon 5D mkIII and a Canon 16-35 f2.8 mkII lens on a tripod which hopefully be good enough to get some images. Since the place in the UK where you intend to conduct an observation is located about 52 degrees north, only a portion of the Milky Way will be visible (this is a consequence of being in a higher latitude). For months of July and August, point your camera due south at around 9 to 10 pm (your local time). Good luck! Hi sir, I just wondering if you conduct actual workshops on how to shoot milky way? I really like to shoot milky way. :) Thanks. I conduct astrophotography workshops (covering various topics) whenever my schedule allows me. Invites are posted here if the workshop is open for other participants. Whenever possible, I also post photos taken by workshop participants :) Taking photos of the Milky Way continues to be one of the most popular topics since only a DSLR is required to capture it (i.e., no telescope needed). I will try this this weekend. At the outset let me thank you for sharing such wonderful insight into this photography. I am very new at photography and will be travelling to Leh in India in mid Sep. Would surely want to try this over there, away from city’s hustle and lights. I tried to study the star app and still was left clueless whether I would be able to see Milky way over there. Would be grateful , if you can shed some light on this, :) thanks. The info above was really useful. I have a hard time locating the right angle to click a milky way. I live in Mumbai India. Can you help me out? Well, I live in Austria!When do you think is the best season to photograph the milky way? Is it also possible to photograph the milky way by using Samsung Galaxy Camera? I’d like to take some photos of the milky way. I live in Florida but plan heading to Brasstown Bald, Georgia. It’s over 4000′ elevation should make it a bit easier to see the milky way. The coordinates are 34.8742° N, 83.8107° W. From reading this thread I’m guessing March through May would be the best time to attempt it. I’ll be using a D2x. Suggestions on direction and timing. Thank you in advance for your assistance. Hey there. I am new to night photography and am just currently playing around. I think it would be awesome to get a shot like this. I am located in Saskatoon Saskatchewan Canada. Any idea when the best time to shoot the milky way is here? Hello sir, thanks for such a beautiful tutorial !! One question i’d like to ask is that where and how should i post process my startrail photographs ? What i mean is which post processing software is best suited to process a star trail photograph ? Any open source software ? My name is Joel and I am very interested in photographing the Milky Way. This post is an excellent source for info to get this accomplished, Thank you. I live in Edmonton, Alberta Canada. When would the best time of year be to photograph the milky way? Thank you for this site, helped me a lot to catch the milky way properly using only an entry DSLR camera. More power! That’s great Bernard! Would you like to have your photo included in this page? Send me a copy along with your camera settings. This is my shot (more of an attempt) of the Milky Way back in 2013. Morong, Bataan. I was searching for tips and techniques on how to shoot it again this year, and I found your site. Thanks, sir. Great help. Brian. I stay in dehradun, Uttrakhand , India and i wish to shoot milky way. Currently its march month 11/03/2015. The Philippine sky maps featured above (and the indicated observing times) will also work for your location, since India and Philippines are almost on the same latitude. Good luck! Hi again Eteny! And thanks for replying at my other Reply here! I saw your reply a little late, so now the milky way should not be visible after your map. Anyway I believe I perhaps was lucky enough to shoot parts of it here a couple of weeks ago. If you could send a mail to me so I will get your mail address and then I can send the shot and some information and some questions on a mail to you. Have a great day Eteny, and thanks a lot for your help, really appreciate it! Hi Wayne, kindly refer to the article above. It can be used by observers from Cebu as well :) Good luck! Very nice information and thank you for suggesting about stellarium. One info I will like to add is to look for constellation teapot/saggitarius. Core part of milkyway is just near it. I am resident of Bilaspur, Chhattisgarh, India. Coordinates are 22.09°N 82.15°E. Please guide me at what time I will be able to see the milky way in the months of May and June from here. I will be using Nikon D5200/D5300. Thank You. Also I will be going about 70 -80 km far from this coordinates just to get away from light pollution. Will it be making any difference in timing ?? Hi, What a fantastic site you have here, very informative. I live in Aberystwyth in West Wales, UK, when would be the best time for me to take some pics of the Milky Way.. Also, would your settings stated at the top of this thread, be the same for my Canon Eos 1100d..
I’ve been shooting 50mm f1.8. With some good results. 7-8 second exposures. Just bought a 16mm f2. Should be able to get exposures 24- 30 seconds. Currently washed out by moonlight and clouds. But when clear and dark I see full milky way and naked eye galaxies. Dark skies on 90 mile beach victoria Australia. Shooting with a canon 40d. Use the rule of 500. So 500 divided by the focal length of your lens gives you exposure times. After that time you will get blurring and star trails. Use the rule of 500. So 500 divided by the focal length of your lens gives you exposure times. After that time you will get blurring and star trails. Thank you very much for this interesting topic of milky way!!! I’m preparing to go out for a try on the milky way but I just don’t know where to look out to. I live at verona, Italy. Please can you please help me determine where I can find the milky way? Is it visible at this time of the over here in Italy? Kindly refer to the illustrations provided above. You may also download a copy of the software mentioned in the article. Good luck! i live in kolkata , India. is the milkyway visible at this time over here can u please tell me?? Just browse the comments. I have already left replies for observers in India. Good luck! Which specific photo are you referring to? Canon kit lenses (18-55 mm) opens only up to f3.5 and not f1.8. Kindly email the photo to eteny@nightskyinfocus.com. Thanks! Tagaytay sky would be dark enough. Good luck! Hi I am visiting Boa vista and would like to know where I would need to look for the milky way and what setting would i need for my camera with this lens. Boa Vista is roughly in the same latitude as the Philippines, thus, the maps above should work fine with Boa Vista. Also, all the recommended camera settings that you will need to capture the Milky Way have already been discussed in the article above. Good luck! Hi Eteny, Thanks for these great tips. Well I have few questions. Can you please tell me in July 2 – 14 where I can find the milkyway and in which time from Leh, Ladakh in India. Also for milkyway timelapse what interval I should set. India and Philippines are located roughly in the same latitude, thus, the maps above will also be applicable to India (or any other place located in the same latitude with the Philippines). Can you describe the photo, and what you mean by ‘bad’? Are there any excessive trailing? Are the stars not focused? Is it under or over exposed? Also, it would be best if you could post a link to your photo. Thank you for such an informative and site and “down to earth” explanations. As a newcomer to photography, I’m having trouble understanding some of the terminology, and hope you could explain something to me please..:. I’m confused with Step 1 and Step 8. Im not too sure of the different between these two and what each step actually entails. Your help in explaining this to a novice is greatly appreciated. Step 1 “Set the lens’ focal length to wide-field (e.g., 18 mm).” means you need a lens that will allow the camera to capture zoomed out views. Zoomed out views are said to have very wide field of views, that’s why they are called “wide-filed lenses”. If you have a kit lens that can be set to a range of focal lengths from 18 mm to 55 mm (most common values), choosing 55 mm will give you close-up views (narrow filed of views)—you do not want that for Milky Way shots. What you want is a wide-field view, which can be achieved by setting the lens to a shorter focal length such as 18 mm (or any close value available in your camera). You may need to consult your manual for instructions on how to do this or ask a friend to demonstrate it to you. Step 8 “8. Set the lens’ focus to infinity. Since the Milky Way is too faint, set the focus using a brighter target (e.g., any bright star). Turn the focus ring clockwise or counterclockwise (consult the camera’s manual) to bring any bright star into focus. You may need to look through the view finder first to roughly focus onto a star and then use the camera’s electronic display (e.g., LiveVeiw) to achieve a more precise focus.” means you need to achieve focus. When you point a camera to an object, it may or may not appear sharp. A sharp object is said to be focused, and a blurry object is out of focus. There is a way to adjust that–to focus an object (or even deliberately blur it!). It is called the ‘focus ring’ that you need to turn clockwise or counterclockwise to achieve focus. Practice first on focusing objects manually at daytime. Then try focusing manually at distant objects. Then try focusing manually on the moon. An then on the stars. Once you can do that, you are now ready to take photos of the Milky Way. You may also need to consult your manual for instructions on how to do this or ask a friend to demonstrate it to you. Note that you need to focus manually, with no assistance from the camera’s autofocus (the autofocus system of most cameras are never designed to focus at the stars, that’s why they perform poorly in this task). Nice to see people who like to teach, you are a great photograph. great article! one question though, are all pictures here already post-processed or raw? I’ll be at Palawan El Nido this Tuesday and I’m having trouble using the Stellarium app, could you help me lo ate the Milky Way please? Will appreciate it a lot! :) I only have a kit lens as well and no tripod so yeah wish me luck! haha! please do shoot me a mail @ bellemeritaposas@gmail.com thanks a lot! Hi Ashisbelle, the photo you will get straight from your camera will be pretty much the same as the photos posted here (with only very minor tweaking needed such as brightness and contrast adjustment). Simply refer to the maps here if you are having trouble with Stellarium. You may also try this one instead. san rafael bulacan sir? thank u! Is the canon sx420is good for taking a picture of the milky way?? Could you please tell me the months for both and which side to look eg north east south or west? And is the lumix gm1 any usable for the milky way photo? Lovely photos. Nice to see your settings to show the stars colouring. The stars have a range of temperatures, from white( hot) through to red the coolest. Hi, I’m going to Coron soon and I was wondering if there were any particularly spots you think would be good for milky way shots? Milky Way, tho the Orion constellation is easy to find. Where and what time do I need to look to see the Milky Way from where I’m at? I think one of my next purchases will be a telescope, after I finish building my house! Thanks for the chance to see the photos you’ve collected, I really enjoy looking at them, I hope soon I can take my own and share them here with you!